After taking a deeper look into the Internet behaviors of Millennials, we have learned how to engage with them on websites and social media. 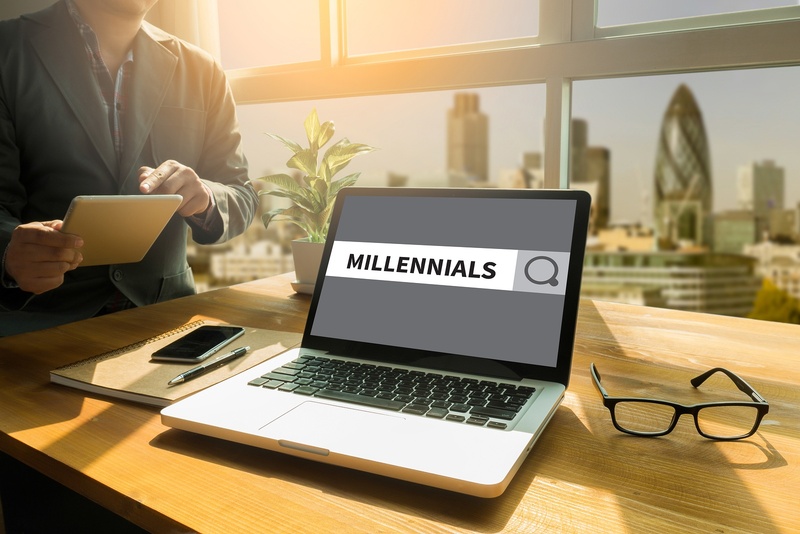 We’ve learned that ease of doing business, virtual accessibility, and transparent information are all important factors to include in a website that is marketing to Millennials. Now, let’s delve deeper into how to create advertising and marketing campaigns that will resonate with this generation. One of the biggest trends that has emerged from research into Millennial purchasing habits is brand loyalty. Over 60% of Millennials said that they are almost always loyal to brands that have made an impact on them through relationship development and product satisfaction. Because of this fact, it is important for companies to create an entire inbound marketing and brand awareness strategy instead of creating campaigns based on singular products. The same study referenced above stated that less than 1% of Millennials will give any credence to an advertisement, as they believe they are all spin tactics. So how then do you advertise and market your products or services to Millennials if they stay loyal to their brands and do not listen to advertisements? We’ve come up with three suggestions to help you get your Millennial marketing strategy and brand-awareness on track. 1. Spend time creating valuable content in place of advertisements - blogs, infographics, videos, posts, etc. Since Millennials research prior to purchasing, they will consume content before consuming an advertisement. The trick to this is to create content that is authentic and valuable, not just another form of advertising. One way to accomplish creating authentic and valuable content is to personalize what you produce for your business. Create an author profile for your blog posts with a photo and short bio. Link to your social media profiles within the bio and share your work on your own social media. This will create a sense of personalization in your publications and allow Millennials to view you as an authentic person, not just a company talking at them. Establishing a sense of trust is important as well when creating content. If a Millennial doesn’t trust your brand or your voice, they are not going to consume what you have to say - regardless of if it is an advertisement or valuable content. To establish trust, try publishing content that is informational and caters to the top of the funnel sales standards. For example, if you are a company who sells a specific kind of boat, try publishing a blog, infographic, or video on the pros and cons of all water toys - jet boats, pontoon boats, wave runners, etc. This will provide valuable information to a consumer while creating a sense of trust because you are not selling them on your specific product. As we mentioned in the point above, Millennials respond to brands that are authentic and brands they trust. This thought process carries over to a brand’s social media presence as well. Be sure you are posting content that is relatable, trustworthy, and valuable on your social channels - not just product advertisement. 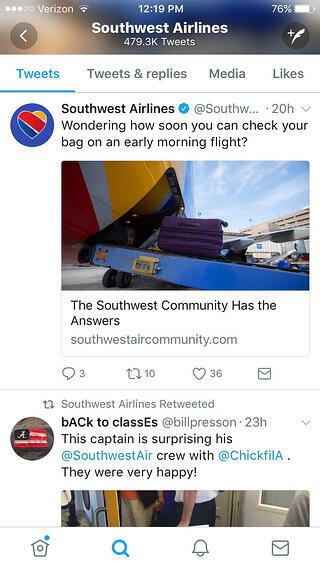 A great example of this can be seen in these two tweets on Southwest Air’s Twitter account. As you can see in the first tweet, the airline posted a link to FAQs. This provides consumers with quick access to helpful information. The second tweet is a retweet from a customer (engagement) that shows an airline captain providing Chick-fil-A for his crew (authenticity). Both of these tweets are great examples of ways to engage with your followers and create a sense of trust while still raising awareness and promoting your brand as a whole. 3. Use a buyer persona to not only target your Millennial consumer, but also the people that will influence their decision making - peers, friends, and family. Millennials rely heavily on their peer network when making purchasing decisions. Customer and peer reviews are a large factor in their decision making and should be transparent and visible on both websites and social media. Since these outside influences could make or break Millennial conversions, they should be included in your targeting, even if they are not your exact target audience or buyer persona. By including them in your conversations and ensuring they are exposed to your brand, you can increase the chances of Millennials gaining positive peer reviews from these influencers. Marketing to Millennials definitely takes some research and work. They are not drawn in by traditional advertisements, so it takes some time to build a brand reputation that they will trust and resonate with. However, Millennials are very brand loyal, so if you do your homework and create valuable and transparent content they can trust, you are well on your way to creating a customer for life. Do you need to create a buyer persona for your Millennial marketing strategy? Download the free template we use to create our own personas!